About: The Leeds Neighbourhood Network contract is delivered by 37 locally based schemes, run by committees that are representative of the communities they serve, with the aim of enabling older people to feel included in their local community and to have choice and control over their lives. Each of the 37 schemes delivers a range of services, shaped by local people to meet these outcomes, including health related activities, digital inclusion, social groups, outings and trips, information and advice and practical support. These services are largely delivered by volunteers, many of whom are older people. Self-referral is the most common way into to the NNS, but agency referrals are taken. The majority of schemes provide services to people aged 60 and over, though there is flexibility to allow friends, family and carers to benefit. In 2013/14 it is estimated that there were a total of 110,019 contacts between users and the NNS, across a total estimated membership of 22,000 people. In 2014/15 the total annual cost to Leeds City Council (including the Public Health contribution) of the NNS was £2,437,702. This includes a core contract and additional funding which NNS have won to extend their work – e.g. 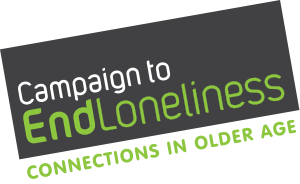 in providing dementia cafés, social prescribing schemes, and innovative ideas to tackle social isolation. On top of this Neighbourhood Networks bring in their own funding from a range of sources. NNS collect data using the Older People’s Outcome Star for a proportion of their members as part of their ongoing monitoring. Data compiled between October 2012 and September 2013 across 31 schemes showed positive shifts across all the outcomes measured. In particular positive results were demonstrated against the outcomes of ‘keeping in touch’ and ‘feeling positive’.